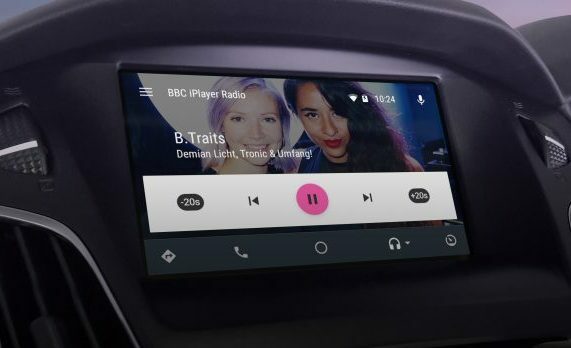 The BBC today updated its Radio iPlayer app to support Apple CarPlay, allowing vehicle drivers with the feature to listen to BBC radio more safely when behind the wheel. A simplified touch interface has been adopted for the new in-car version, designed to be easy to fast-forward in a show or skip through entire episodes. Apart from CarPlay and Android Auto support, the update also brings additional features to help make radio listening a more personalized in-car experience. The new app interface is split into four sections titled Following, Listen Later, Downloads, and Stations. The Following section gathers favorited shows for easy access from within CarPlay, Listen Later lists shows tagged by users for future listening, while the Downloads section keeps shows ready for listening offline in areas with poor signal. Quite. No real advantage for live radio, unless you’re using Apple Maps and want the two sound sources managed together. For catch up and downloaded programmes though, bliss! Just what CarPlay needed. Works great here in France, but it doesn’t look as in the picture above? No graphics, just a black background. Anyway thankfully i can now send the unreliable rubbish that is the Tunein radio app, which hasn’t worked since I upgraded to IOS 11 into the trash. Now lets hope Heart radio and other UK stations make their own apps Carplay compatible.